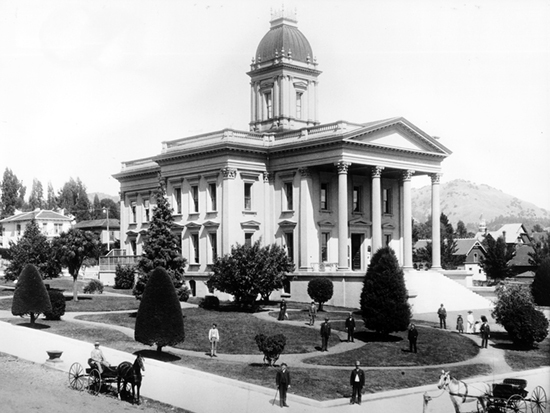 Marin's first civic center was a converted group of adobe buildings situated in downtown San Rafael. A bond issue for a new courthouse was finally passed in 1872, and construction was begun. The new, Neoclassical courthouse accommodated all of the county offices for nearly a century. By the 1950s, the growth of the county, spurred since 1937 by the construction of the Golden Gate Bridge, required the construction of a new complex. The county retained Frank Lloyd Wright to design the Marin County Civic Center, the famed architect's last project.